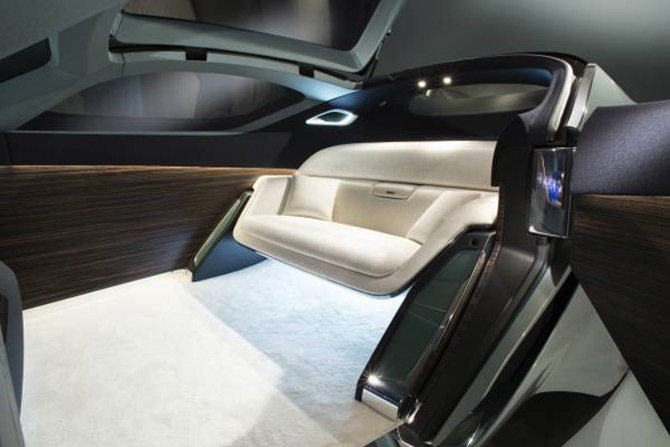 Luxury car maker Rolls-Royce unveiled the car that defines the future of luxury mobility. 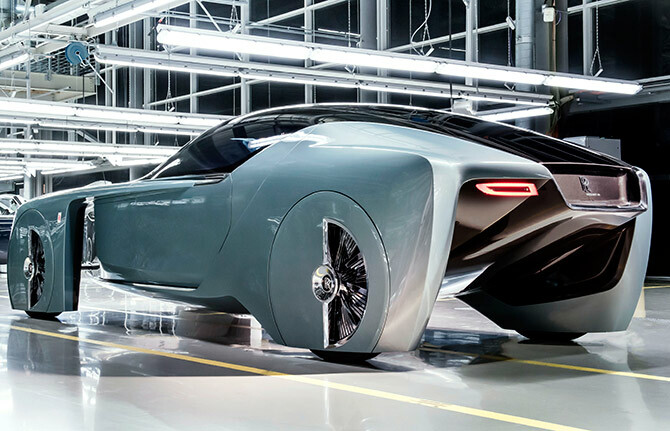 Codenamed 103EX, it is the marque’s first ever pure ‘vision vehicle’. The futuristic car will be six metres long, with a canopy roof and curved body. “Today, Rolls-Royce, the world’s leading luxury brand, has defined the future of luxury mobility. The Grand Arrival of the Rolls-Royce Vision Next 100 boldly points to a bright future for our marque where our patrons’ individual demands for complete and authentic personalisation will be met through an exquisite fusion of technology, design and hallmark Rolls-Royce craftsmanship,” Torsten Muller-Otvos, chief executive officer, Rolls-Royce Motor Cars said, in a release. It also features an artificial intelligence-powered voive assistant called Eleanor. Eleanor advises owners on itineraries, schedules and options before they leave their residence, reminding about appointments and tasks and making suggestions to ease any anticipated impediments, says a company release. The cabins have been aesthetically designed by modern handcrafted fine-line Macassar wood panelling, sweeping across the interior from the coach door, continuing around behind the generous OLED screen and up beside the second passenger to the side of the sofa. From every angle the car is viewed, it seems to float, whether at rest or in motion. 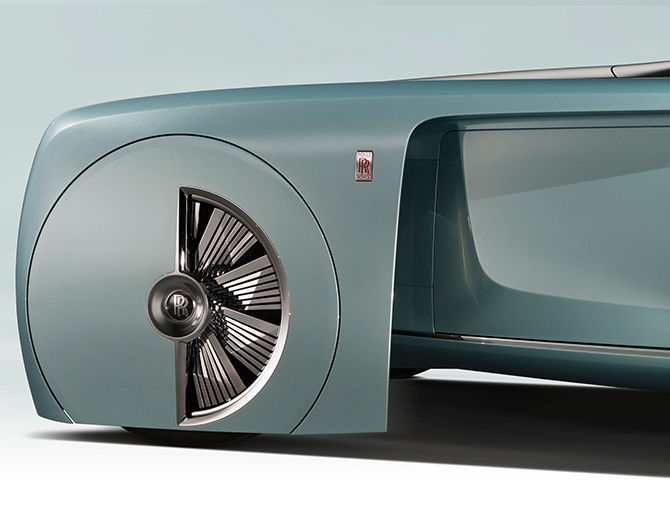 “With the Rolls-Royce Vision Next 100 we were mindful not to dwell on the past. We wanted to be as innovative as possible and at the same time transcend the design history of the marquee,” Giles Taylor, director of design, Rolls-Royce Motor Cars. The Rolls-Royce’s innovative car is will be built to address the mobility demands of the luxury customers of the future. 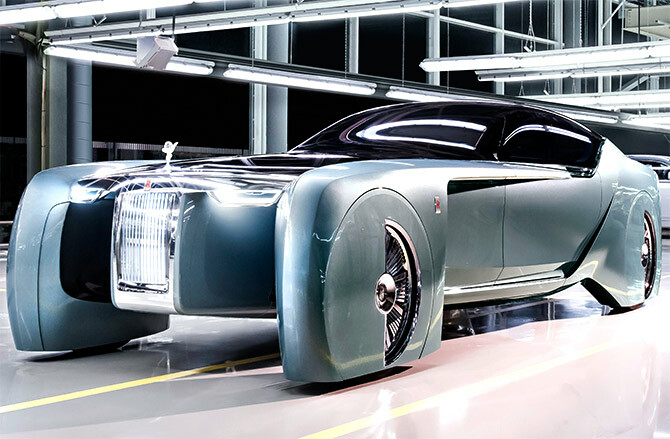 “Each Rolls-Royce will be designed less like a car, and more like an individual sculpture made from one seamless surface,” says Rolls-Royce. It may take over two decades for this car to hit the roads. Test drive: A ride in Google's amazing driverless car! 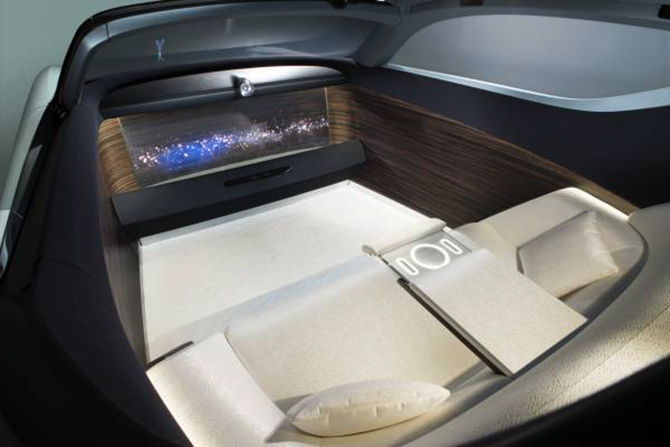 A self-driving concept car that can turn into a living room! Google's self-driving car has no steering wheel or brakes!